The EDMO METRO module is a very fast and compact device specifically designed to be used as a validator in access gates to train stations and subway stations. 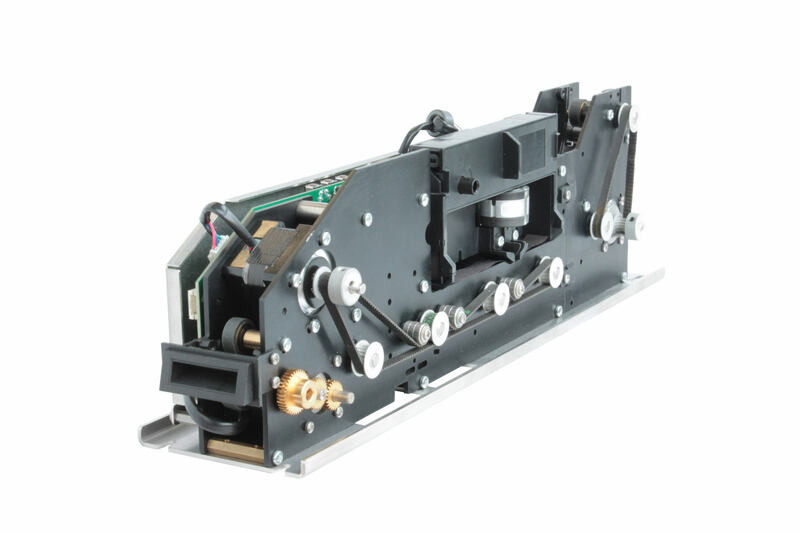 The module features a longitudinal impact printer and a 6.5 mm LoCo or HiCo magnetic head in central position. To further reduce the validation time, it is also possible to install Up/Down magnetic heads to allow the ticket to be inserted and read in all four possible directions. The ticket is emitted toward the top but it can also be swallowed.